How America shops for groceries continues to evolve due in no small part to the impact of technology. In this, the first of a three-part series, we discuss how channel-shopping patterns are changing and explore how CPG companies and food retailers alike can strategically compete in this dynamic digital age. 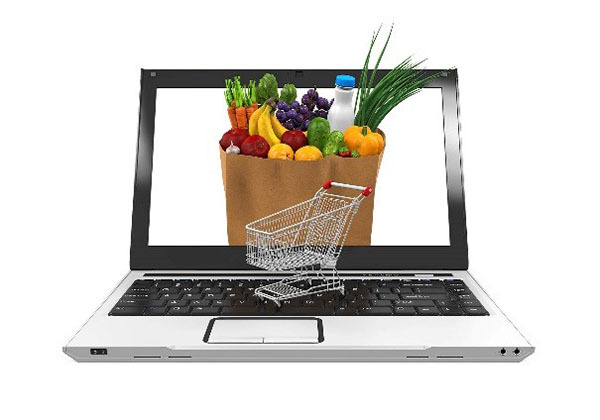 Today’s grocery retailers and CPG companies are scrambling to establish a strong omni-channel presence by expanding their digital strategy, often through online platforms such as a website, app or third-party provider (e.g., Instacart). The addition of e-commerce to their traditional channel-planning process continues to pose a significant learning curve. Behind the channel-level strategy lies an underlying consumer story. It is the story of an ever-complex quest to purchase specific categories and products from specialized channels and retailers that has all but replaced the traditional approach to grocery shopping. Our Food Shopping in America 2017 report finds that despite claims of being time-starved, consumers simply do not seem to want a one-stop shop. Instead, they embrace more frequent, smaller- to medium-sized trips to a wide variety of stores that “specialize” in something (a product, promotion or experience). With an abundance of channels available, they cross-shop to leverage the strengths of each one. 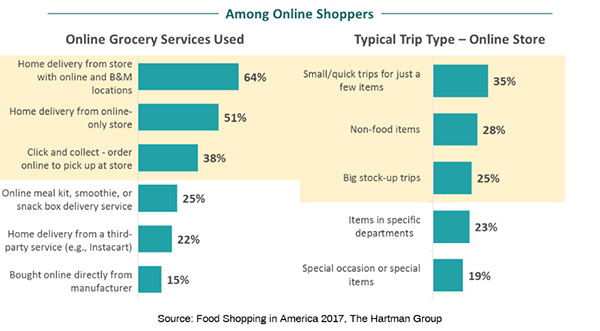 Taking into consideration the role and impact of online shopping, we find that 17% of past-30-day grocery-channel shoppers have also bought groceries online. While this number is still somewhat small, it is important to recognize that these shoppers are focusing on services/retailers that already have an omni-channel presence. Understanding why consumers are making these changes is extremely important in itself. What we know is that this complexity cannot be reduced simply to bargain-hunting behavior, despite the powerful draw of this motive in American grocery shopping. The average shopper’s value calculus is far more complicated. Hartman ethnographic research indicates that these changes can often be attributed to changing household composition or lifestyle changes (e.g., new and varied eating approaches within a single household) alongside an expanded universe of convenient, potential store options, products, prices, experiences and quality cues. What does this mean for retailers and CPG brands? In the short term, it may still be possible to find growth while leveraging traditional channel strengths. However, in the medium to long term, we expect to see most successful grocery retailers establish an omni-channel strategy where the entire experience is cohesive and consistent across all touchpoints — from purchasing groceries on an app to picking up in-store to home delivery — or elsewhere. For most retailers and manufacturers taking this important step, there will be significant implications across all areas from supply chain to marketing. The key will be to ensure that each part of the experience is also a true reflection of the brand and how it fits within consumer food culture. As Established Retail Players Struggle to Find Their Way in the New Digital World, Emerging Businesses are Busy Setting Consumer Expectations. 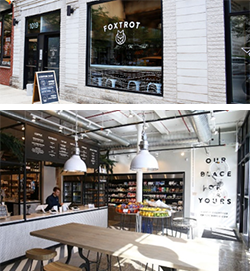 Yummy.com Neighborhood Market and Foxtrot Delivery Market: two examples of emerging companies that are setting the bar for omni-channel retailing. 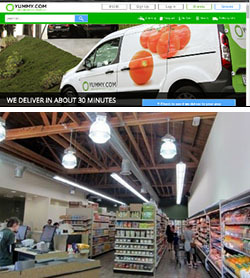 Yummy.com Neighborhood Market in Los Angeles and Foxtrot Delivery Market in Chicago are two innovative business models designed to deliver on a brick-and-mortar presence while also solving for efficient e-commerce delivery, a pain point frequently articulated by consumers. Their point of differentiation from the largest players with an omni-channel presence (such as Kroger and Walmart): an upmarket-oriented, brick-and-mortar store, with a surprisingly speedy delivery option, in under 30 minutes for Yummy.com and under 60 minutes for Foxtrot. Many consumers don’t want to wait two to four hours for their same-day home delivery (even when they say they don’t mind on surveys). 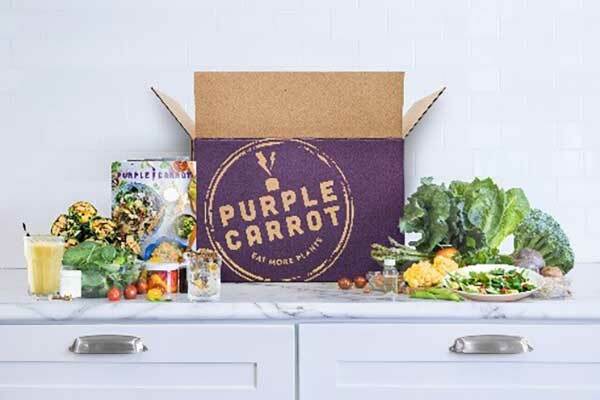 By pursuing an omni-channel strategy that is relevant to their specific brands, these two companies are solving for the desire for convenient delivery of fresh and premium products that enables near to immediate consumption. Yummy.com is the oldest such player in the United States, though it has remained in West LA since its founding in 2002. With just six locations, Yummy.com is a micro-brick-and-mortar grocery store with a shrunk-down, full-line assortment of conventional and premium items for cooking and immediate consumption, and ultra-fast home delivery. Ultra-limited assortment might be the best way to describe it, since the stores feature only three to four aisles. It is a low-touch environment where the majority of staff in the store are probably picking online orders. Foxtrot Delivery Market in Chicago (launched in 2014) is located in residential urban neighborhoods outside of the downtown urban core. It is therefore relevant seven days a week, like a grocery store, except that its merchandising strategy is not that of a shrunk-down supermarket. It is an upscale C-store with packaged, premium items, albeit with limited in-store options. What is interesting about Foxtrot is the willingness to recognize that the pantries of local urbanites are often empty or understocked and that they don’t always want to go outside to solve the “problem.” Social life for urban singles is 24/7 due to portable screens, and “staying in” is not seen as “shutting in,” as it would have been in prior generations. This creates a large potential pool of on-demand, delivery, small-basket shopping trips in urban environments. These smaller-scale omni-channel retailers differentiate themselves by offering not only the experience of super-fast delivery but premium, fresh options that are also hyper-localized to the locale of their target consumer. The food marketplace is changing at speeds never seen before with new retail models, platforms and competitors emerging seemingly daily. At the center lies the consumer, trying and weighing the options to find what works best for them to fulfill their specific food and household shopping needs. For some, it may be finding a preferred retailer, or set of retailers, whose omni-channel strategy lets them shop how they want, when they want and from where they want. For others, it may be removing brick-and-mortar grocery shopping entirely as they find that convenient, personalized delivery outweighs the experience of going to the store altogether. 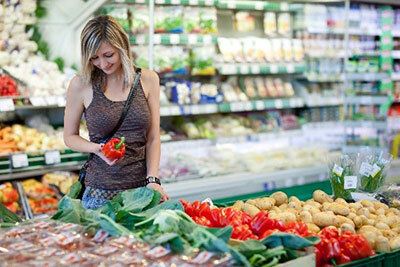 Understanding the underlying consumer needs and motivators will be key to consumer acquisition, retention and loyalty. Understanding the complexities of consumer behaviors and tracking the trends reshaping the food and beverage marketplace to help you identify growth opportunities have been at the heart of our business for 30 years. Contact us to learn more about our Scenario Planning and Strategic Retail Services offerings. Part two: how CPG manufacturers can renovate their go-to-market strategy, based upon evolving consumer demand. In this article, we take a closer look at delivering an integrated online/offline channel presence, here and now and into the future, as it relates to how consumers shop in the burgeoning omni-channel world.